Aura Ipate is General Manager the A_BEST Foreign Language Center. 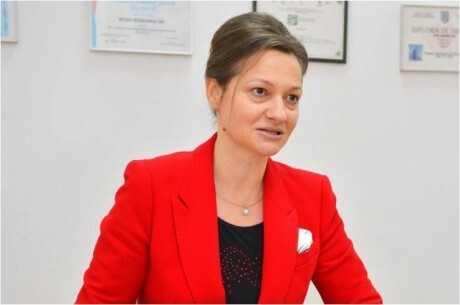 With an 8-year experience in teaching and 9 years in human resources management in the educational field, Aura is an oral examiner for LCCI examinations – English for Business (London Chamber of Commerce and Industry – International Qualifications from EDI) and author of educational materials. Her strong personality is doubled by the energy and passion she instills in all of her endeavors, which makes her constantly Empowered, Resourceful and Spectacular. Trainart: How does a typical day from Aura Ipate’s life look like? A.I. : I can’t say there are typical days… To be honest, no two days are the same in my case… I usually spend most of my time at the office, taking care of the daily activities on my agenda. One of my priorities is to follow a responsible and realistic “to do list”, which can be reorganized during the day if need be. Even if it’s tiring sometimes, I’m enthusiastic and I always do things willingly. As a matter of fact, empathy and dedication are of the essence especially since I interact a lot with people in my business, either communicating with my team and various partners or during business meetings. When I am not at the office, I like to spend time with family and friends. Trainart: What were your first thoughts when you started your own business? A.I. : I wanted to create on the Romanian market a European educational environment for foreign language teaching, a goal which was reached shortly after I had started the business. My passion for foreign languages, my previous teaching experience and my knowledge of human resources management were at the forefront of the A_BEST Foreign Language Center, a business developed from the heart. It goes without saying that any beginning is difficult and there were a lot of challenges, but my previous experience in educational management and the years I had spent teaching English helped me a lot for I knew what I was getting myself into, I was aware of the processes and thus I could also pinpoint more easily the solutions in difficult situations. Trainart: Could you briefly share with us a moment in your life when you felt Empowered/Resourceful/ Spectacular? A.I. : As General Manager, I have to focus on all aspects in equal measure, from Human Resources to Accounting, from Payroll to Acquisitions, from Legal to Marketing etc. But the activity which keeps me “hooked” and defines me is the direct corporate sale because, when I manage to finalize a new important contract, the feeling is “spectacular”, which means I am certain its value will generate financial resources through which the team will grow and will be rewarded for the work done. In my point of view, a driven and happy team is the key to a successful business. Trainart: Could you share with us a difficult situation you managed to overcome with the help of your creativity and constructive approach? A.I. : One of the difficult situations I dealt with was related to a training project for a top multinational company for which a lot of resources were needed – both human and mainly financial. We mustered all our efforts so as to successfully deal with that challenge which immediately brought a 35% increase in turnover at that time. Trainart: If you could go back in time, what advice would you give yourself? A.I. : Only one: to take things easy, to be more relaxed, less stressed if there is no need… After seven years in which I managed this business, I understood that my main duty as an entrepreneur is to minimize risks through constant, focused and responsible activities. To be honest, risks can never be totally eliminated. As a matter of fact, this constitutes the beauty of entrepreneurship, doesn’t it? Trainart: What makes somebody memorable? A.I. : Courage, honesty and creativity. Trainart: What could be considered a defining moment in your life? A.I. : It definitely was when I decided to leave the public teaching system and found the A_BEST Foreign Language Centre, so the moment I stepped out of the classroom in the entrepreneurial field. Trainart: What would you do if you knew you could not fail? A.I. : I would continue to create sustainable jobs. As much as possible! For that matter, this is my major goal, my motivation as an entrepreneur. With no sustainable jobs, we cannot speak of a healthy economic system. Trainart: What makes you lose track of time? Trainart: Is there a great historical figure you identify with? Why? A.I. : I think I could somehow identify with Queen Elisabeth of Romania (also widely known by her literary name of Carmen Sylva) for I am also a woman of letters, passionate about literature and foreign languages. For over 7 years, Aura has been a successful businesswoman. 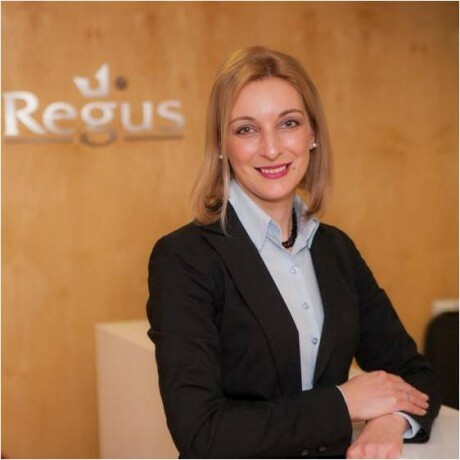 She is an entrepreneur with a calling, who turned her experience and passion into a mission – a Romanian business which successfully competes with international franchises in Bucharest.